Gifford Grant sponsors two teams in very different sports, both of whom achieve success out of all proportion to their size and apparent resources. This links neatly into the way we and our clients see Gifford Grant. 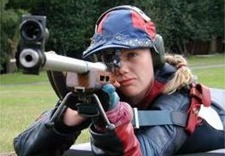 Long range rifle shooting is a precision sport calling for dedication, accuracy, team work and determination. The Wandsworth teams have won matches against superior opposition around Europe and as far away as Australia, where beaten teams were drawn from the touring Great Britain team. The Wandsworth team members assist the company in organising shooting-based corporate entertainment days with a very different twist. Corporate team buildi ng away days are also a speciality.